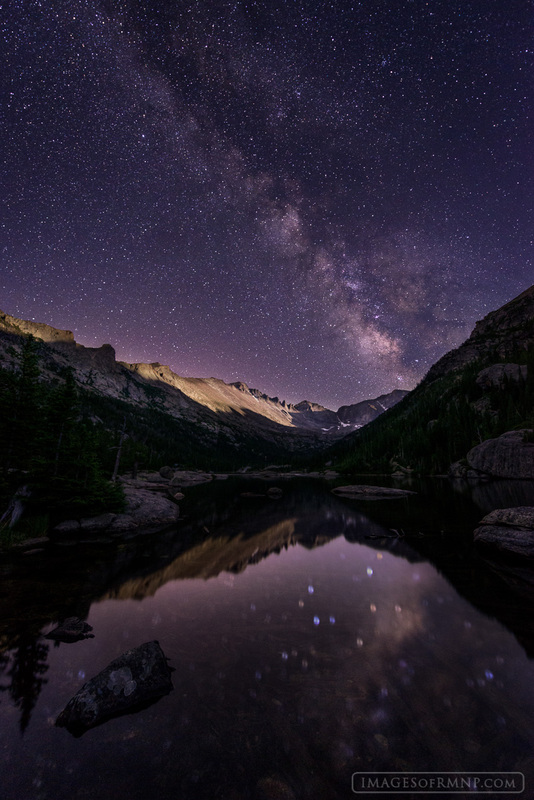 Mills Lake is a well-known and loved location in Rocky Mountain National Park, but few people come back at night to watch the skies open and reveal the heavens. It is a breathtaking experience and on this night a partial moon was setting in the west which briefly lit Longs Peak and the Keyboard of the Winds. Photo © copyright by Erik Stensland.